The Lompoc Wine Ghetto is a pretty cool place to taste wine. It looks like a boring, industrial business complex on the outside, but once you get inside a tasting room, you pretty much forget how the place looks like. In all honesty, wine making is not all grassy hills, rows of grapevines, large barns, dirt, and tractors. That part of wine making is at the vineyards, right? At the Lompoc Wine Ghetto, like on a day like harvest, you’ll see barrels and presses being moved and grapes being produced into wine. There are more boutique wineries at the Lompoc Wine Ghetto, so expect to see and experience wines from lesser known wine labels or brilliant winemakers who defected from the big wineries to produce under their own label, etc. The cool part at the Lompoc Wine Ghetto are its tasting rooms. There are some 16 tasting rooms. Some are open to the public and some require a reservation. A wine tasting of about 6 to 10 wines may cost you between $5 to $10 depending on where you go. Sometimes the tasting fee is waived if you decide to join a wine club the same day. A week ago, my friends and I spent a few hours at the Lompoc Wine Ghetto and to share tasting instead. It makes sense to share tastings instead of getting a tasting per person. A two ounce pour of wine is more than enough for two people to share anyway. Makes sense, right? I still like Ampelos Cellars and Samsara. Taste of Sta. 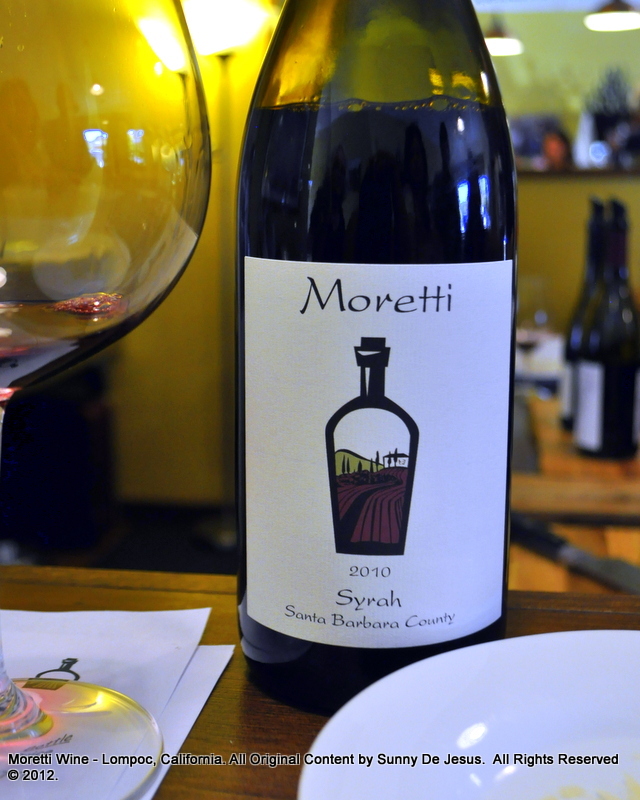 Rita Hills is a cool little wine shop that sells the wines of even smaller boutique wineries or you can try the shop owner’s own wine called Moretti. Last weekend, I ended up loving Jalama Wines so much that I signed up for their wine club. 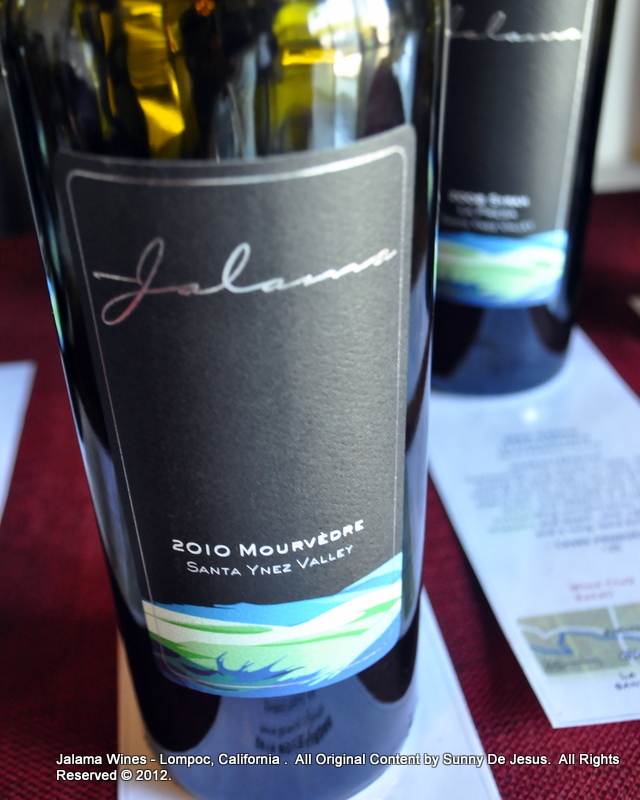 It was the 2010 Jalama Santa Ynez Mourvedre that I fell in love with. A nice long finish, a bit of an earthy nose, some grass, a little wet dirt, and the taste of dark chocolate truffle or a chocolate mousse cake undertones. That’s what this wine tasted like to me. Divine!